We have led Worship for many years. This has included Leading at various Churches and Conferences, supporting many Christian Leaders and Ministries. Our hearts desire is to create an atmosphere of Worship, where Heaven touches earth…where lives are healed, transformed and restored… where breakthroughs happen, and people move into everything God has for them. Worship draws us into the very throne room of God…a place where we can experience the very breath of God, bringing transformation for body, mind and spirit. Worship is so much more than the songs we sing and the tunes we play. 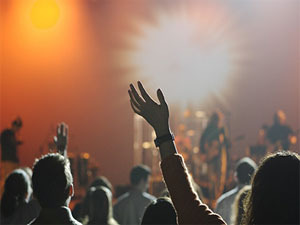 Worship comes from the heart of a life 100% surrendered to Him. Many of our songs have been written, based on what we believe God is saying to His people today. Leading Worship for your Conferences and Events – working with your Worship Leader, Singers and Musicians.